JJRC H12W Wifi FPV With 720P Camera Headless Mode One Key Return RC Quadcopter. 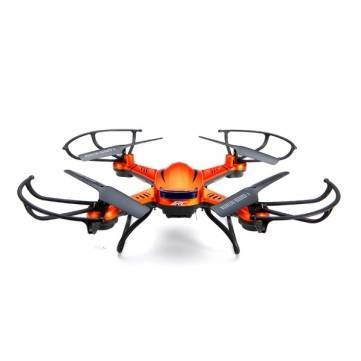 JJRC H12W can fly both indoor and outdoor.Including 4CH digital proportional RC system. H12W with one key automatic return function(The return position may not be very accurate,there is a variance of a few meters of take off position). With high capacity battery 750mAh,flying time up to 8mins.